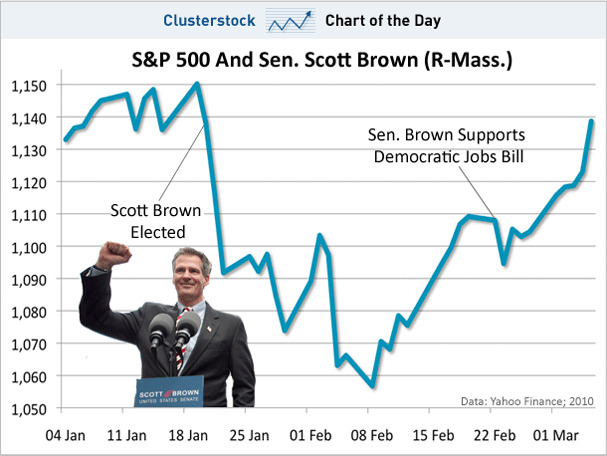 The market tanked after Scott Brown’s election in mid-January. But it soon became clear that Brown was not the tea party obstructionist his critics made him out to be, and in late February he announced his support for a Democratic jobs bill. Since then, it’s been a straight up-line for the market.